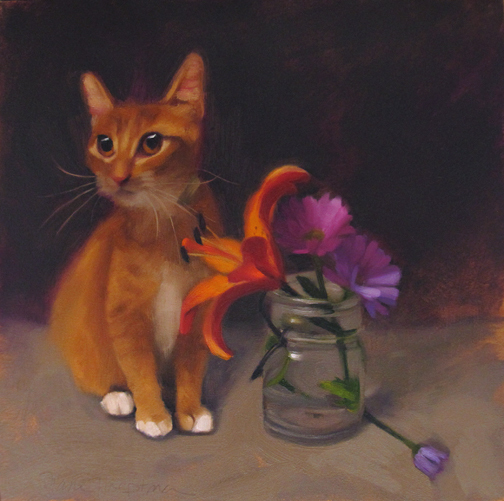 I've been catching up with everyone's work....this orange cat is outstanding Diane! Love the purple flowers! Loved your previous portraits of these cats as well! You are definitely the Master!